Failed projects, history repeating itself and S.L.C. Last week, the Minister of Works, Transport and Infrastructure, Papali’i Niko Lee Hang, was quite firm in his opposition to plans by the Samoa Shipping Corporation to invest in a hotel-type accommodation at Mulifanua. Judging from what was reported last week, the Minister was clearly not happy about the plan, which has been the subject of several stories on the pages of this newspaper now. From the outset, the General Manager of the Corporation, Papali’i Willie Nansen, emphasised the point that the proposed hotel is to compliment the other services they provide for members of the public. “Let me make it clear this is not to compete with our local businesses, rather we want our wharf to provide the services for the convenience of our people,” the General Manager said. For the uninitiated, the S.S.C’s remodeling project including the hotel will cost taxpayers a whooping $200,000 and is a project Papali’i Willie insists is the way forward. Well it’s hard to find fault with the General Manager’s enthusiasm and excitement about new ways for the Corporation to collect revenue. It’s admirable. The problem is that accommodation and hotel type services are not their core function. Which is something Minister Papali’i is well aware of. 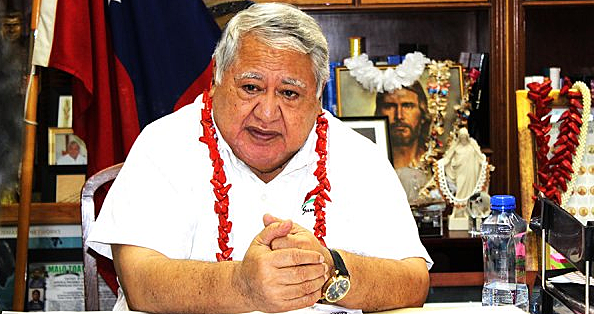 Speaking to the Samoa Observer, Minister Papali’i pointed out that Government agencies have a poor track record when it comes to managing publicly-funded hotels hence him putting his foot down. Members of the private sector including the owner of Transit Motel in Mulifanua, Pa’u Dr. Roy Ausage, would be delighted to know there are people in the Government who can hear their cries. You see, when the plan about Shipping Corporation’s hotel was revealed, Pa’u objected. For good reason. “The Government provides ocean transportation service for our people because of the inability of the private companies to do so,” Pa’u said. Apart from the view about democracy, there is something else. It has something to do with the Government’s poor track record of running businesses. Again, the Minister of Works, Transport and Infrastructure knows this very well. “I have already told Papali’i Willie that will not happen because history tends to repeat itself,” the Minister said. And what is that history? Well according to the Minister, when he was the Chairman of Parliament’s Finance Committee, a similar project surfaced. By the way, the “failed project” the Minister was referring to is the Malifa Lodge. Opened prior to the S.I.D.S. conference in 2014, it has since been handed over to be run by a private company after struggling to make money. The Minister of Public Enterprises and S.L.C., Lautafi Fio Purcell, has of course defended the plan. “The goal for this project was to give it back to the private sector and that is what is happening, it did not fail,” Minister Lautafi responded. Unfortunately in this case, Minister Papali’i wins this argument hands down. Under a previous Minister and management, the Samoa Land Corporation has a shameful history of failed building projects that cost the poor taxpayers of this country millions and millions of tala. Millions we are still paying for through countless forms of taxes and this menace called the cost of living. The past, especially that of S.L.C., is something Papali’i would remember well. How can we forget the Controller and Chief Auditor’s reports, which led to the O.P.C. reports that implicated senior Government officials of unbridled abuse, corrupt practices and collusion to defraud the taxpayers of this country? How can we forget? In the meantime, have a wonderful Wednesday Samoa, God bless!